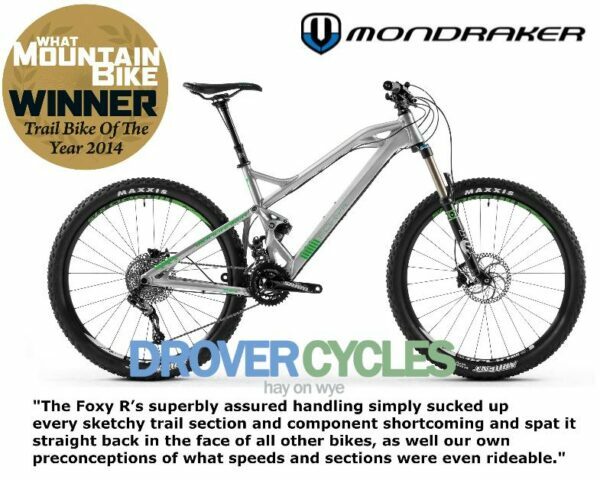 Huge news here at Drover towers as we’ve added another top notch mountain bike brand to our roster by signing Spanish giants Mondraker. Anyone who reads the mountain bike mags will be familiar with the brand, and their bikes’ ground-breaking ‘forward geometry’. Put simply, forward geometry means a longer top tube and wheelbase – and almost no stem – creating a bike that is incredibly stable over rough and steep terrain, planted on techy climbs and razor precise when the going gets gnarly. And their top-of-the-range Foxy Carbon XR bagged a four-and-a-half out of five star review in Mountain Biking UK mag in November. The reviews make pretty convincing reading, but the great news is you don’t have to take the testers’ word as gospel, as becoming a Mondraker dealer has given us access to their massive demo fleet. Every bike in their range is only a courier away – you can try them out at your leisure and buy with total confidence. Our top picks from the range include, inevitably, the Foxy all-mountain / trail bike – starting at £2299.99 for an alloy-framed model. 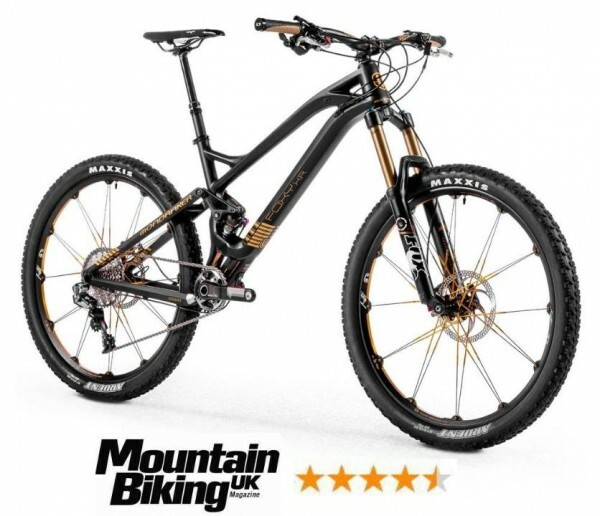 For enduro fiends, there’s the Mondraker Dune range, starting at £2599. And the Summum downhill bike is available from £2799. If hardtails are more your thing, their all-mountain Vantage range uses the same forward geometry as the full-bounce bikes and starts at £799. The new signing means we are now dealers for three quality, boutique mountain bike brands. Besides Mondraker, we’ve got Pyga and Transition on the bill. We’re the only Mondraker dealer in mid-Wales and one of only five Mondraker dealers in Wales as a whole. We’ve also got the more wallet-friendly end of things covered – with no compromise on quality – with mountain bikes from Merida, Genesis and Saracen. 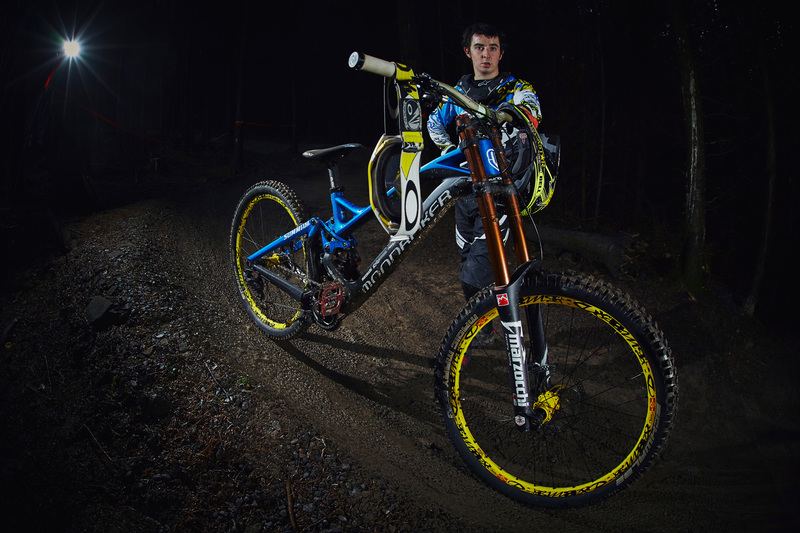 Interested in a Mondraker demo ride? Check out the full range here then get in touch on 01497 822 419 or drop us a line at [email protected].